SALT LAKE CITY, UTAH – October 24, 2016 – Sack Lunch Productions, Inc. (OTC PINK: SAKL), announced that it is partnering with Eventbrite, the world’s largest self-service registration platform which powers two million events each year, to provide industry-leading attendee registration and onsite entry for participants of five SAKL event properties — Slide the City®, The Lantern Fest®, Color Me Rad®, The Dirty Dash®, and Trike Riot®. SAKL through its subsidiaries now holds the following national or international event brands: Slide the City®, Color Me Rad®, The Dirty Dash®, The Lantern Fest®, and Trike Riot®. Both Slide the City® and Color Me Rad® have been franchised both nationally and internationally in addition to the events that are held and operated corporately. The Dirty Dash® operates fun mud runs, Color Me Rad® holds fun runs complete with color stations, Slide the City® operates giant slide events on city streets, The Lantern Fest® organizes sky lantern festivals, and Trike Riot® is a three wheeled bike or trike that participants navigate on various obstacle courses. View a sample of what The Lantern Fest® looks like at: https://www.youtube.com/watch?v=Tfg384SBM0U. Please visit our websites to find the next event in your area: www.slidethecity.com, www.thelanternfest.com, www.thedirtydash.com, www.trikeriot.com and www.colormerad.com. 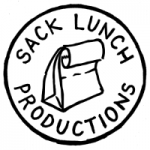 Sack Lunch Productions, Inc. (OTC PINK: SAKL) is an entertainment company that operates and franchises action oriented events in the U.S. and internationally. SAKL’s events include: Slide the City® (1,000 foot long water slide for families and kids), Color Me Rad® (5k color race), The Dirty Dash® (mud and obstacle run), Trike Riot® (three wheeled trike event) and The Lantern Fest® (nighttime party with lantern lighting and launch). Learn more about SAKL’s operations at www.sacklunchproductions.com, www.slidethecity.com, www.thelanternfest.com, www.thedirtydash.com, www.colormerad.com, www.trikeriot.com and www.green-endeavors.com. SAKL strongly encourages the public to read the above information in conjunction with its reports filed at www.otcmarkets.com. The actual results that SAKL may achieve could differ materially from any forward-looking statements due to a number of risks and uncertainties. There is no guarantee that SAKL will becoming fully reporting or will be able to refinance existing debts. Investors should not invest more than they can afford to lose. Eventbrite is the leading global ticketing and event technology platform. The company has processed over $5 billion in gross ticket sales since inception and powers more than 2 million events around the world each year. Built with a focus on reliability and scale, the platform serves hundreds of thousands of event organizers, including Tough Mudder, Tribeca Film Festival, BottleRock, Maker Faire, Wanderlust, and many more. Organizers use Eventbrite to help boost ticket sales, promote and manage events, and analyze results across multiple sales channels: web, mobile, point-of-sale, and a growing distribution platform. Tens of millions of people also use Eventbrite every year to discover a variety of live experiences and get tickets on a safe, easy-to-use platform – from photography classes and obstacle runs to large concerts and festivals with tens of thousands of people. Founded in 2006 and headquartered in San Francisco, the company has a team presence in 8 countries and processes tickets in 180 countries. Investors include Sequoia Capital, Tiger Global and T. Rowe Price. Learn more at www.eventbrite.com.